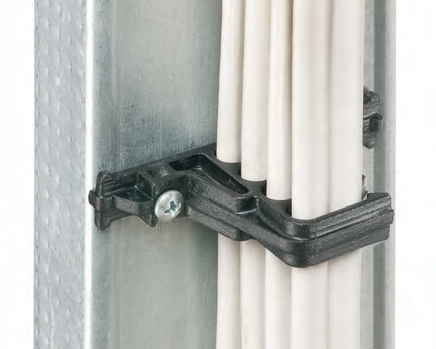 The SPACER™, Arlington’s new, non-metallic Cable Spacer holds power or low voltage cable secure and centered on a 2x4. 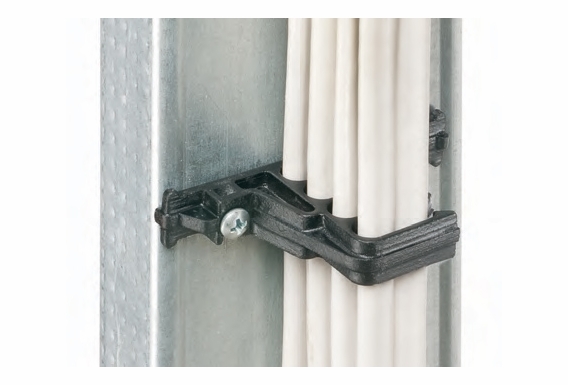 Perfect for routing, fastening and positioning power or datacom cable, it holds a single or double row of up to eight cables securely between the forks. Installation is quick and easy. Just screw The SPACER to a wood or metal stud.